Kohl's Cares Scholarship Program rewards students ages 6-18 across the country for their volunteer efforts within their communities. Students nominated for recognition are eligible for scholarships at both the regional and national level. Deserving students who have worked hard to make a difference in their communities can be nominated by an adult 21 years old or older. The nominations should describe what the student did and the outcome, including how it helped people in the community. Each Kohl's store will recognize a store winner in two age groups (6-12 and 13-18), 200 regional scholarships will be awarded, and ten national scholarships will be awarded. The scholarships may be used for tuition, room and board, fees and books, supplies and other college expenses at an accredited college or university. Usually, more than $400,000 in scholarships is awarded each year to more than 2,000 students. The Kohl's Cares Scholarship Program was established in 2001 and has awarded $3.5 million in scholarships and prizes to more than 17,500 school children. 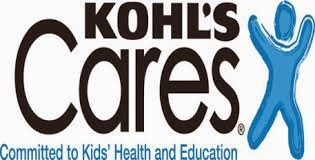 Kohl's Cares programs support children's health and education, environmental programs, women's health, and Kohl's employee volunteer programs.